Does a dentist in Lakewood, CO use different techniques when practicing holistic dentistry? Holistic dentistry is the practice of dentistry with the understanding that your mouth is not a separate part of your body. This may seem like common sense, yet many dentists seem to treat your smile as if it has no connection to your overall health. Holistic dentists at South Lakewood Dental are guided by the knowledge that anything that happens to your teeth can affect your whole body, just as your overall health can affect the health of your teeth. Many studies have established a link between the health of your teeth and the health of your body. This shows up in signs of other health problems like osteoporosis and cancer that dentists can identify during your regular check-ups. Possible links have been found between those who have gum disease and other health problems such as heart disease and diabetes. Since everyone at our office in Lakewood, Co is aware of these connections, we may use some different techniques. Many of the techniques we use are chosen because they help us avoid materials like mercury that could be hazardous to your health. Instead, we use alternative materials that are just as effective but not as dangerous for your whole body’s health. This means that rather than placing mercury amalgam fillings and titanium implant posts, we can use more biocompatible materials like tooth-colored composite fillings and zirconium posts for implants. Beyond this, we are also careful to preserve healthy teeth and gum tissue in your mouth. In order to achieve this goal, we try to choose treatments that will preserve your natural smile as much as possible rather than just choosing the easiest solution. Our biological microscopic periodontal plaque scan can help us to do this by finding the source of pathogens in your teeth and gums so that we can figure out how best to fight them and protect your smile. At South Lakewood Dental, Dr. Stewart follows the best modern holistic dentistry techniques to make sure your smile stays naturally healthy for as long as possible. To find out more about holistic dentistry, call our office at (855) 233-0023 today and book an appointment. 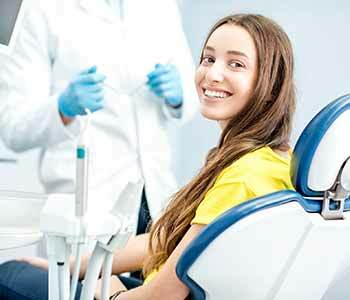 Home » Does a dentist in Lakewood, CO use different techniques when practicing holistic dentistry?